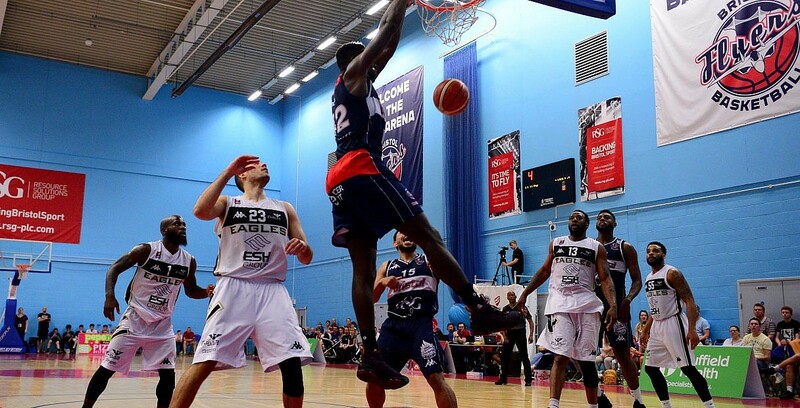 Jordan Davis leads Bristol Flyers to an historic victory. Bristol Flyers defeated Esh Group Eagles Newcastle for the first time in the BBL and their 17-point victory was enough to advance to the Semi-Finals. The Eagles won by 11 at Sport Central on Friday night, but a strong second half performance from Bristol saw them create history. Turning point – Bristol led by 6 at the half but a strong start to the third saw them take control and move ahead overall on the tie. Jaysean Paige fouled out early in the fourth and the Flyers maintained their lead before completing a historic victory. Key stat – The Eagles struggled to find their range from downtown as their shooting percentages dropped to 30% from the floor. Game hero(es) – Jordan Davis starred with 17 points, 9 rebounds and 9 assists as well as hitting a big three down the stretch, while Leslee Smith added 14 rebounds to his 10 points.